What’s a busy girl to do when she’s home on forced rest, dealing with das boot, dealing with pain, can’t drive, can’t bear to watch another bad movie (Breaking Dawn 2 was marginally better than the first, but I definitely lost brain cells I’ll never recover)…? 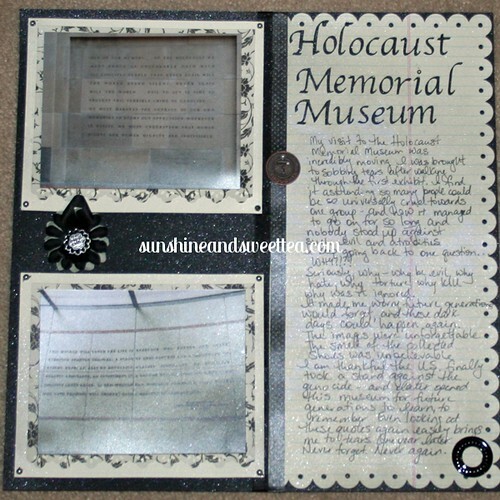 …Why, scrapbook like a fiend of course! On the nudging of a friend I believe I’ve managed to scrap the bulk of my DC trip from last summer, and the rest will just go into divided page protectors with all my collected ephemera project life style. It feels good to get it done and re-live the memories; and it makes me want to go back so much! I also used up a bunch of paper I once loved, but no longer did (the joys of an overflowing stash). So – mostly on mom’s request (HI MOM! ), I’m sharing what I’ve been up to these last few days. As a footnote (pun intended), I’m doing way less laundry not having to wash uniforms all the time, but washing way more dishes because I’m actually home for all meals! I do have some happy scrappy news to share in a few days – but for now, just a bunch of layouts I’ve been plugging away on. 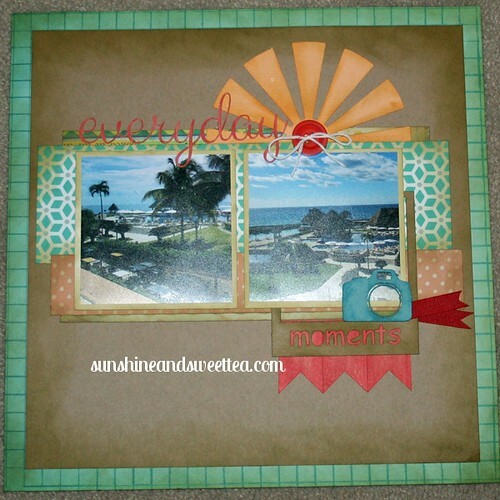 Another layout using Graphic45 Bird Song! I LOVE LOVE LOVE this paper pack!! 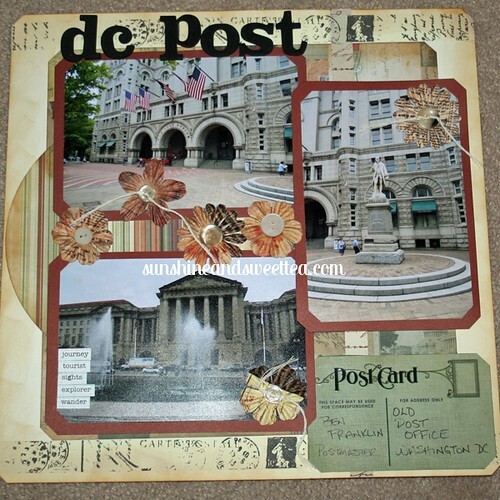 I bought it for my cherry blossom pictures but it’s proving to be so wonderfully versatile and I am in LOVE with every layout I’ve used this paper for. 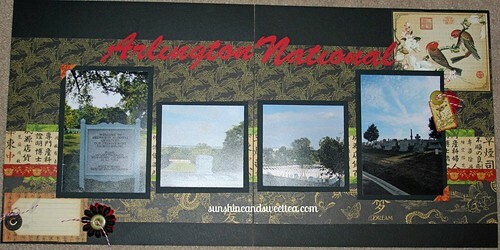 Pardon the glare – I forgot to turn the flash off when I was snapping pics of these layouts. This is a pic of Steve with our fav breakfast chef at Le Blanc Spa. Every morning he makes special treats for us and delivers them with a smile. Things like this are part of what makes Le Blanc my absolute favourite place to vacation. I used a ScrapMuch? project kit with a few wee modifications to make the layout suit my photo – and inked it all up! Another project kit from ScrapMuch? celebrating the everyday moments at Aventura Spa Palace 🙂 This was my breakfast view for most mornings. Another ScrapMuch? 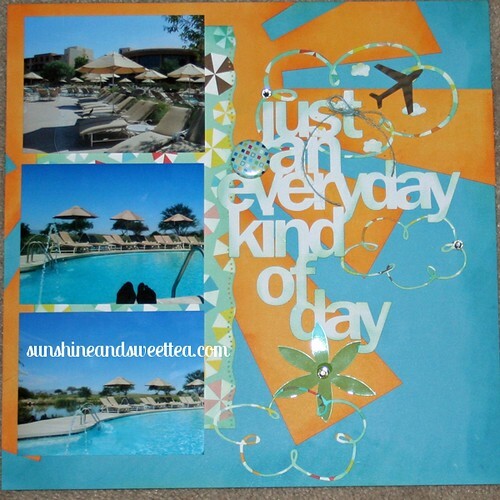 project kit – this time highlighting a normal everyday poolside at the Sheraton Wild Horse Pass in Chandler Arizona – where Creative Escape used to be held. I always built in extra time at Creative Escape for a few days just. like. this. Wow girl, I cannot belive how amazingly productive you have been! 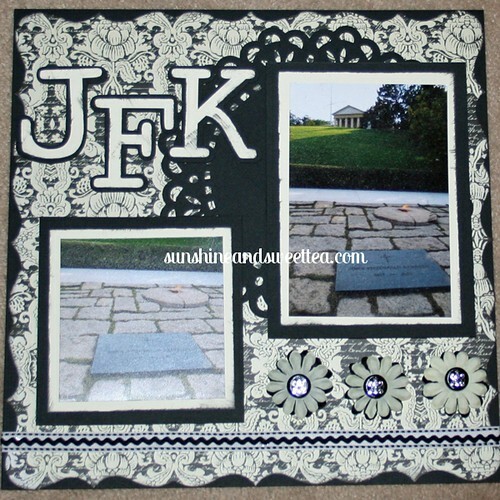 Your layouts are fabulous, the graphic 45 is just too pfect and i am so glad you join in for sme ScrapMuch? Fun! Wow!! Talk about being productive!! You rock girlfriend!! 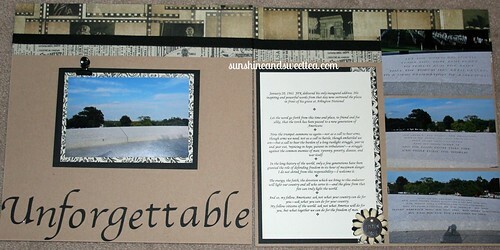 These layouts are beautiful and you chose the perfect paper! Well done! Thanks for sharing! Oh wow! 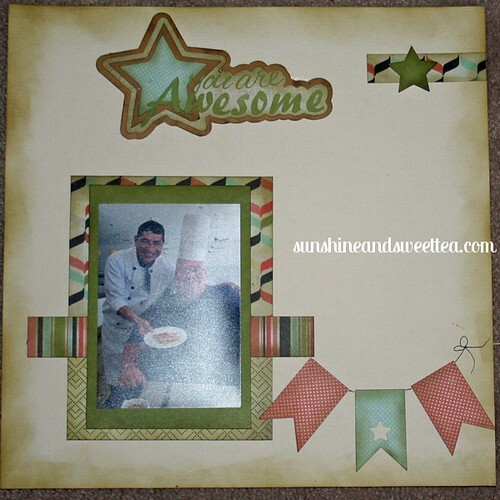 These are all so fun to look at – so many great ideas and photos! Love them! Thanks for sharing!! !